ATLA Religion Database with ATLA Serials combines an index to journal articles, book reviews, and collections of essays with the ATLA collection of major religion and theology journals online. This is linked on the Databases page. Seth Allen (King University) developed a list of commentaries and Sally Shelton (ORU) developed the Google custom search engine for them. You can easily search through multiple sites with a single search. In performing a search, you may add a commentator's name to focus your results. For example, to find what Robertson says about the Greek word charis (grace), key in the words: charis Robertson. Hebrew and Greek words may be searched in Hebrew or Greek, e.g. עַלְמָה, πνεῦμα, or by transliteration, e.g. alma, pneuma. This subject guide focuses on information and resources dedicated to an education in Bible. You will find links to online research databases and print resources in Biblical studies, resources recommended by a librarian or professor, suggested Internet sites, featured books in our collection and more. Books at the Raymond H. Center Library are organized according to a modified Dewey Decimal Classification system. Each call number range represents a particular subject. See below for a few examples of call number assignments for books related to Biblical studies. For a complete breakdown of these classes and their subcategories, please see the Dewey Decimal link below. E-books: You can find a wide variety of Bible and Theology related ebooks online using EBSCO's eBook Religion Collection. You can find print journals by searching the online catalog or browsing the collection in the library (arranged alphabetically by title). The library subscribes and offers access to several databases that contain both citations and full-text articles for numerous journal articles. Ebsco's ATLA Religion Database with ATLA Serials has 100+ religious journals with full-text articles. 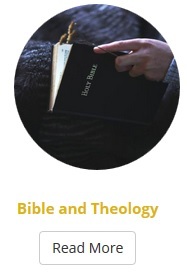 BibleStudyTools.com is the largest free online Bible website for verse search and in-depth studies. The site contains concordances, commentaries, Bible reading plans, Greek and Hebrew helps and much more. CCEL makes hundreds of Christian classics available for free or for sometimes for purchase through a few vendors. You can search by author, title, keyword, language and format. The classics come in various online formats. The site also includes online Bibles and devotionals. Codex Sinaiticus, a manuscript of the Christian Bible written in the middle of the fourth century, contains the earliest complete copy of the Christian New Testament. The hand-written text is in Greek. The New Testament appears in the original vernacular language (koine) and the Old Testament in the version, known as the Septuagint, that was adopted by early Greek-speaking Christians. The full contents has been online since 2009. Free full-text available for current and archived issues. This site includes images the writings and sermons of Jonathan Edwards, an online journal that is free if you create an account, and links to exhibits and conferences. Published by Tyndale Theological Seminary and Bible Institute (Hurst, Texas), The Journal of Dispenstational Theology "is committed also to asserting and defending dispensational distinctives." This site has free archived issues from 2006 to 2010. Open-source Bible study software & applications.